It’s the holiday season, so “whoop dee doo” you say? Not in the spirit yet? We’ve got you covered. Join us on NPT in the next couple of weeks for some great holiday and Christmas specials sure to brighten your spirit and warm your hearts. Monday, December 12 at 8:00 p.m.
Everyone’s favorite “Hitman” David Foster joins superstar tenor Andrea Bocelli for a new Christmas concert of seasonal favorites. Showcasing Bocelli’s soaring vocals are lush new arrangements given the distinctive Foster touch. Recorded at the Kodak Theatre in Los Angeles, the program features special guests Natalie Cole, Mary J. Blige, Reba McEntire, Welsh mezzo-soprano Katherine Jenkins, the Muppets and the Mormon Tabernacle Choir. Tuesday, December 20 at 9:00 p.m.
Rejoice in the holiday season with this spectacular event that combines elegant dancing, masterful musical performances and storytelling. Watch Christmas with the Mormon Tabernacle Choir ft. David Archuleta and Michael York – Preview on PBS. 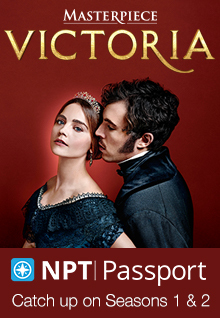 See more from pbs. Tuesday, December 20 at 11:00 p.m. Celebrating its 89th year, the lighting of the National Christmas Tree signals the start of the holiday season across the country. Taped at President’s Park in Washington,D.C. and hosted by Carson Daly, the one-hour concert will feature performances by pop sensation OneRepublic (“Good Life,” “Apologize”), country artist Rodney Atkins (“Take A Back Road”), R&B newcomer Marsha Ambrosius and a special appearance by Kermit The Frog. The evening’s festivities will be capped off with the ceremonial lighting of the National Christmas Tree — by a very special guest! Wednesday, December 21 at 7:00 p.m.
It’s become a NATURE classic. As snow falls and Christmas lights glow in Jackson Hole, a holiday season of a different sort settles in just beyond the town, in the great winter world of Yellowstone. Breathtaking landscapes frame intimate scenes of wolves and coyotes, elk and bison, bears and otters as they make their way through their most challenging season of the year. NATURE journeys in the footsteps of the men who first explored the park, and travels with their modern-day counterpart on his own journey of discovery. From the unique crystals of individual snowflakes to the grand sweep of Yellowstone’s Hayden Valley, this is a Christmas like no other. Watch Short | Inside the Yellowstone Lodge | Christmas in Yellowstone on PBS. See more from NATURE. Thursday, December 22 at 8:00 p.m.
Rebroadcast, Christmas Day, Sunday, December 25 at 7:00 p.m. 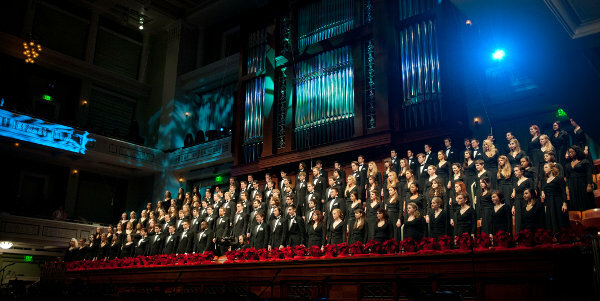 Produced by Nashville Public Television and taped at the Schermerhorn Symphony Center, nearly 700 student musicians join host Laura Bell Bundy, the Belmont School of Music faculty and the Nashville Children’s Choir, to present this annual production of traditional carols, classical masterworks, world music and light-hearted seasonal favorites. The program will feature the University Symphony Orchestra, Belmont Chorale, Percussion Ensemble, Musical Theatre, Jazz Ensemble and Bluegrass Ensemble. This seasonal celebration also features a mass choir. Christmas Day, Sunday, December 25 at 6:00 p.m.
Celebrity chef, author and restaurateur Lidia Bastianich celebrates culture through food. Join her for an Italian Christmas Eve Feast of the Seven Fishes with actors Mo Rocca and Stanley Tucci; a Mexican-American Christmas Day with four generations of the Cortez family in San Antonio, Texas; a Chinese New Year feast and celebration with the Fong-Torres family; and a Jewish-American Passover seder with the Russ family of the famed specialty shop Russ and Daughters and food author Ruth Reichl. And don’t forget New Year’s! News Year’s Eve, Saturday, December 31 at 11:00 p.m.
Modern rock giants Coldplay ring in the new year with an AUSTIN CITY LIMITS New Year’s Eve special highlighting their mega-hits and songs from their newest LP, Mylo Xyloto. This holiday celebration captures the excitement and energy of the Grammy-winning band of worldwide acclaim. New Year’s Day, Sunday, January 1 at 6:30 p.m. Legendary star of stage and screen Julie Andrews returns as host of the festive annual New Year’s celebration with the Vienna Philharmonic, under the direction of guest conductor Mariss Jansons, at Vienna’s Musikverein. The venerable concert is the largest worldwide event in classical music, reaching more than a billion people annually through radio and television in 72 countries. The Vienna Philharmonic’s traditional New Year’s program has showcased Viennese musical culture at the highest level, and since the first television broadcast in 1959, sent the world a New Year’s greeting in the spirit of hope, friendship and peace. (The telecast has been a GREAT PERFORMANCES tradition on PBS since 1985.) As is customary with the broadcast, the camera will use several opulent locations in the Musikverein hall itself, and venture outside the hall to visit a picturesque range of Vienna landmarks. Happy Holidays from all of us at NPT! This entry was posted on December 12, 2011 at 2:21 pm. You can follow any responses to this entry through the RSS 2.0 feed. You can leave a response, or trackback from your own site. 2 Responses to "(Media Update) It`s The Holiday Season on NPT: Christmas at Belmont and more"